Somerset County Jail became nationally accredited by the American Correctional Association on August 6th, 2018. This was a two year project that would not have been possible without Sheriff Dale Lancaster's vision for the jail and the entire Jail's staff boots on the floor every day. Somerset County Jail is accredited from 2018-2021 in accordance with "Adult Local Detention Facility Standards". Having an issue with a Bail Commisioner or would like to compliment them on their service? Click this link on how to report this! The mission of the Somerset County Jail is to provide a safe, secure, and humane correctional environment for staff that work in the jail and prisoners that reside in the jail. Consistent with the mission of the Somerset County Jail, the jail maintains appropriate control of prisoners by providing various levels of security necessary to protect the public. This control is by utilizing the guiding principles of direct supervision. The lobby now has the weather, powerpoint of information about the jail, property left behind and information about bail for those who are waiting in the lobby! (207) 858-9566. Programs Manager Michael Welch will assist you through this process. Volunteer classes will be held here at the jail the 1st Tuesday of the month (for time please call the number above). The next volunteer class is April 2nd at 5:30 pm here at Somerset County Jail. Last years batch of pigs! Mandalas were made in Peggy Rileys art class by Inmates. 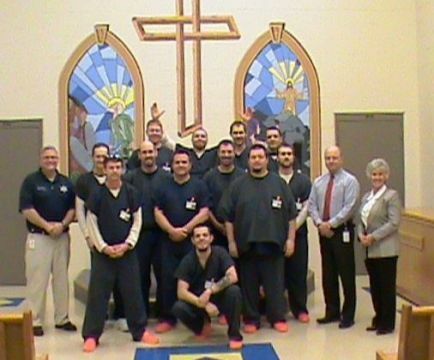 Good way for Inmates to give back and help others that might be going through tough times while incarcerated. These Madalas have been placed in our special management units. The Somerset County Jail knitting program is a pilot program that started approximately one year ago under the guidance of Sgt. Darlena Bugbee. The program was initiated based on research from similar evidence based programs. The first project that the knitting program participated in was Purple Hat Day, raising awareness of child abuse and neglect. Since then the program has continued to grow. Recently hats created by participants in the program were donated to homeless Veterans, local schools, and organizations assisting children. To date over 350 hats have been made by inmates participating in the knitting program. Please take a moment to complete the Jail Postcard Project Survey. The Somerset County Jail balances its security obligation with its obligation to promote rehabilitation by providing and implementing a comprehensive treatment plan for each offender which encourages that offender to re-enter society as a law-abiding, productive citizen. The treatment plan will include, where appropriate, educational opportunities, work release programs, anger management programs and mental health treatment. The Somerset County Jail provides a work environment that emphasizes and expects teamwork, unity, respect, recognition of staff achievements and opportunities for personal and professional growth. Professionalism, integrity and adherence to the values of the Somerset County Jail are the core of the Jail’s mission. 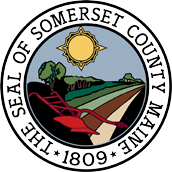 Somerset County Jail is currently seeking information reference the county jail in Somerset to include the history of the Women's Reformatory. If you have information on this history please contact: Sean Maguire at the jail, 207-474-7409, ext. 2004. How do I report sexual assault or sexual harassment on behalf of an inmate? You may write: Somerset County Jail, Attn: PREA Coordinator, 131 E. Madison Rd., Madison, ME 04950. You may call the Jail's PREA Report line: 207-858-9572. You may choose to do so anonymously but your correspondence needs to include enough information so that an investigation can be conducted: who was involved, what is alleged to have occurred, approximate date, time and location within the jail. Be assured that Somerset County Jail takes all such allegations seriously and will take appropriate action. How do I become a Corrections Officer? Somerset County Jail generally hires and trains 12-20 corrections officers per year. The hiring process starts with submitting an application available on Somerset County Website or at the jail. As of 7/1/15 the Maine Criminal Justice Academy implemented policies to increase the entrance standards for Corrections Officer Basic Training. From that date forward, all applicants must pass the Alert Test, with a score of at least 37, to be considered for employment as a Corrections Officer. You must call the academy and schedule an appointment to take the Alert Test. Once you have taken the Alert Test the academy will mail you an official letter advising you of your score. Please attach a copy of this letter to your application. Proof of passing the Alert test must be submitted with your application. The hiring criteria for Somerset County Jail are outlined on the jail's webpage. How come my inmate did not recieve the mail I sent to them? Somerset County Jail opens and inspects all incoming mail for contraband. Mail that contains handmade cards and/or artwork; plastic covered cards; glitter; stick-ons; scented paper or cards; or objectionable pictures. If the contents of the correspondence are not contraband then a copy will be made and given to the inmate. Somerset County Jail does not receive mail over the weekends due to USPS policy and delivery schedule. Mail without a return address is not given to the inmate unless the sender can be determined during the contraband inspection process. How do I schedule a Contact Visit? Somerset County Jail does not have contact visiting. All visits are non-contact for your safety and to limit contraband. How do I pick up property from an inmate at Somerset County Jail? Inmate property available for pick up is available through the public lobby officer at Somerset County Jail, Monday thru Friday 8:00 am -4:00 pm. Additionally, you may pick this property up after a inmate visit. How do I find out when an arrestee is going to court? Maine Statutes requires that all arrestees be arraigned within 72 hours, these are normally scheduled for the next court session on Monday, Wednesdays, or Fridays. You can call the court at: . If you wish to attend the court session you may do so at the appropriate court in Skowhegan regardless if the arraignment is in person at the court or via Video Arraignment at the jail. How do I schedule a Video Visit with an inmate? The jail contracts with Securus Technologies for this service. You will need: internet access, email account, a computer with web cam and microphone, and to register with: www.securustech.net Your registration will require you to take a picture of yourself and your current government issued ID card. This registration will be approved by the jail and you will receive an email. Upon receipt of this approval you will be able to schedule your visit through the Securus web portal. The jail attempts to approve all requested visits within 24 hours but occasionally due to operations this may not occur. If you do not receive an approved visit email prior to your scheduled video visit call the jail at 474-7409. How do I bail out an arrestee? You will receive a call from the arrestee or be informed by the booking officer, 474-7409, of the set bail. Once you arrive at the jail with the appropriate bail money in cash plus $60 Bail Commissioner's fee, the money will be verified by a jail staff member and the Bail Commissioner will be called. Be advised all of our Bail Commissioners work in the community so it may be up to an hour wait. Jail staff will attempt to keep you informed of any delays in the Bail Commissioner's arrival. How do I find out if I have outstanding warrants or my criminal history? You may obtain your criminal records history, conviction and adjudication information from Maine State Bureau of Identification https://www5.informe.org/online/pcr/As these records do not belong to Somerset County Jail, staff cannot provide this information to you.